New simcards was activated in just 2 minutes after purchasing (?) it. There were no difference between use and through item and simcards even! has been wake up. They brings a strict rules for customers as well as retailers from last month. 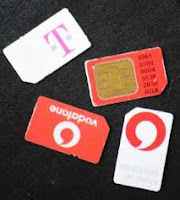 New simcards are now activated only by verifying details of customer after 3 or 4 days. Customer should have to call on 59059 after 3 or 4 days to verify simcard, if information given by customers does'n match with documents, simcard will not be activated. Additionally, due to increase in crime, fake calls, SMS from unauthorized simcard DoT has come on this decision that customer can't get new simcard by providing just xerox pan card or any other contact details as id proof. One have to submit only xerox of Aadhar card or election card as id proof with passport size photo to avoid disconnection of new simcard. According to DoT, It will not result in end of crime, but most of crimes will be minimized. or please LIKE us on Facebook. That we can improve our quality and service.